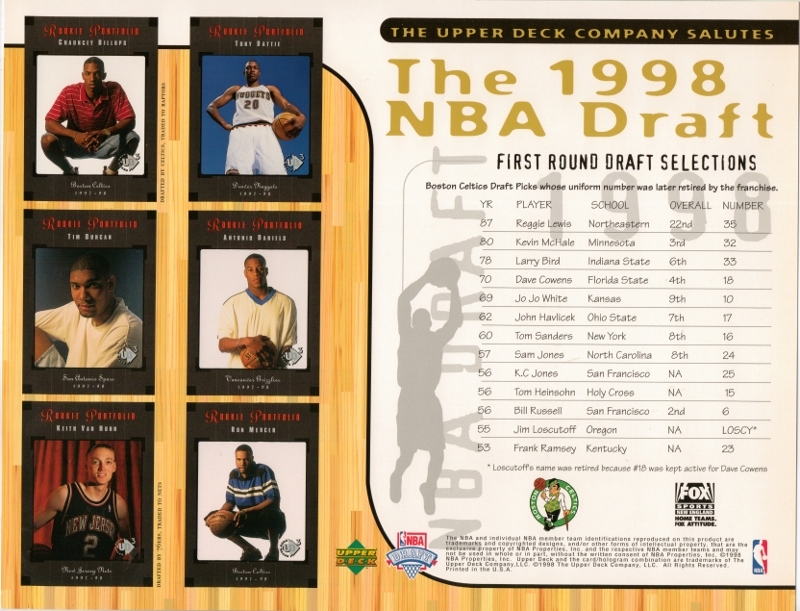 In 1998 Upper Deck porduced NBA draft sheets. 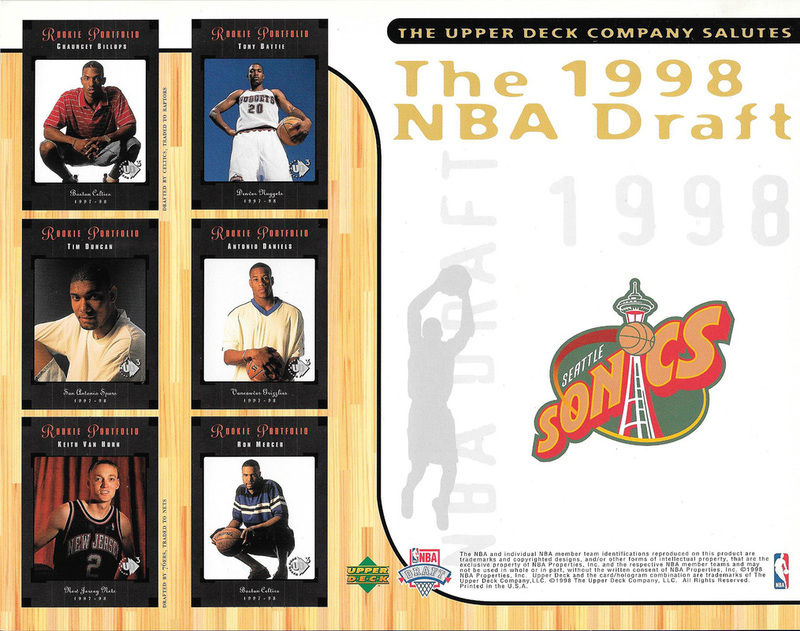 Each team gave theses out on June 24th. 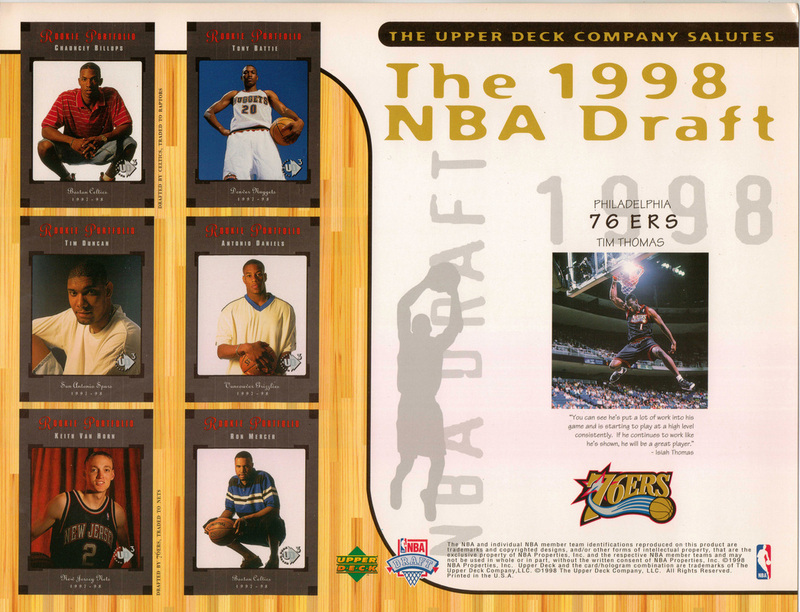 and these are not numbered. 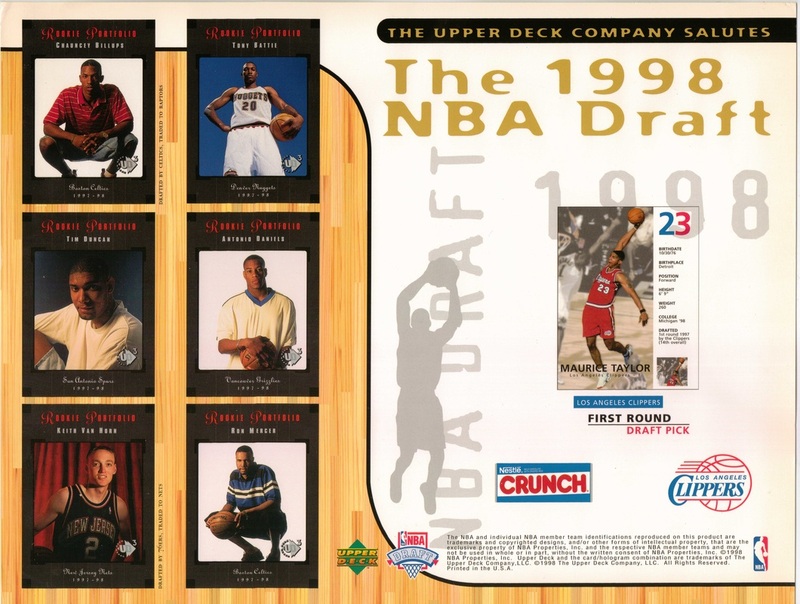 Pictured on each sheet is Chauncey Billups, Tony Battie, Tim Duncan, Antonio Daniels, Keith Van Horn and Ron Mercer. 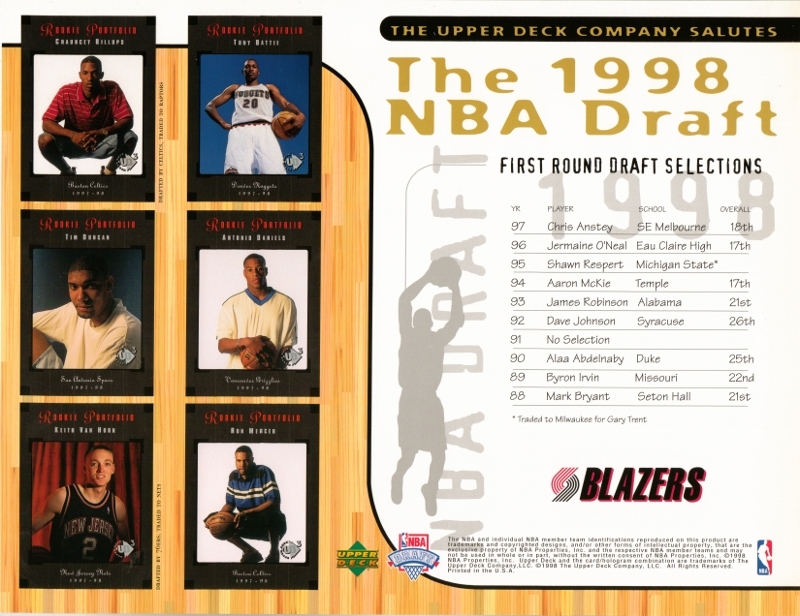 I'm sure there are many more teams that did a draft sheet, I just don't have them or know which ones. Again anyone with any not pictured please contact me.